When it comes to your special day, it’s all about being surrounded by the ones you love. Joel and Jasmine’s real wedding is traditional but with a rustic twist. 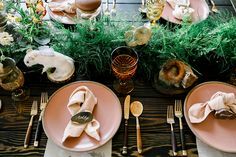 The couple tied the knot in Carlsbad, California where they were able to personalize and stylize their big day. For Joel and Jasmine, it all started when they met at a friends graduation party over four years ago. But is wasn’t until months later that Joel and Jasmine started dating. During their first year dating they visited Cabrillo national park and since, the couple knew they had to return to the monument. When the couple visited Cabrillo national park again, Joel got down on one knee and proposed! Joel’s vision for the wedding was to start with a blank canvas. 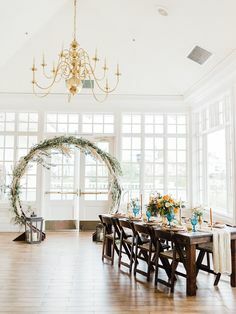 As Jasmine says, “We looked for a venue that we can make our own. 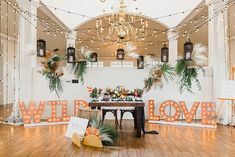 A venue that was a blank canvas ready for a masterpiece.” And with their personal touches, and the help of their family, Joel and Jasmine were able to have an amazing wedding that is traditional, urban, and rustic. Jerry Lio Photography captured the love Joel and Jasmine hold for one another flawlessly. 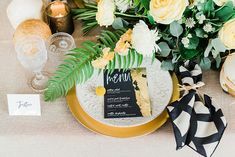 Accompanied by the always-beautiful San Diego, this real wedding was full of rustic details from the flower bouquets, tabletops, and adorable typewriter which guests left notes on for the happy couple. The couple started with a blank canvas and truly created a masterpiece. Engagement Photos: Location, Location, Location!